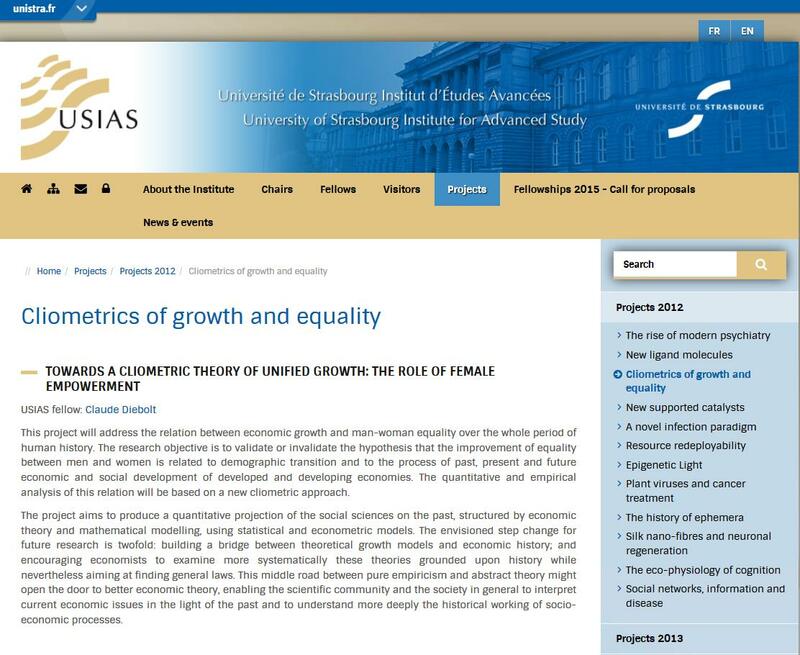 This project addresses the relation between economic growth and man-woman equality over the whole period of human history. The research objective is to validate or invalidate the hypothesis that the improvement of equality between men and women is related to demographic transition and to the process of past, present and future economic and social development of developed and developing economies. 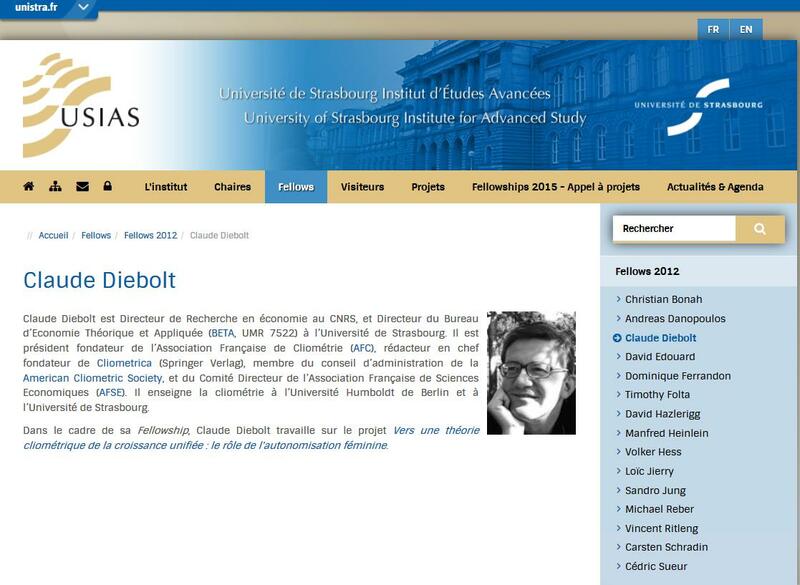 The quantitative and empirical analysis is based on a new cliometric approach. The project aims to produce a quantitative projection of the social sciences on the past, structured by economic theory and mathematical modelling, using statistical and econometric models. The envisioned step change for future research is twofold: building a bridge between theoretical growth models and economic history; and encouraging economists to examine more systematically these theories grounded upon history while nevertheless aiming at finding general laws. This middle road between pure empiricism and abstract theory might open the door to better economic theory, enabling the scientific community and the society in general to interpret current economic issues in the light of the past and to understand more deeply the historical working of socio-economic processes.